Female Hand Takes Nut Biscuit Cantucci From The Wooden Desk On Black Background. Close Up. 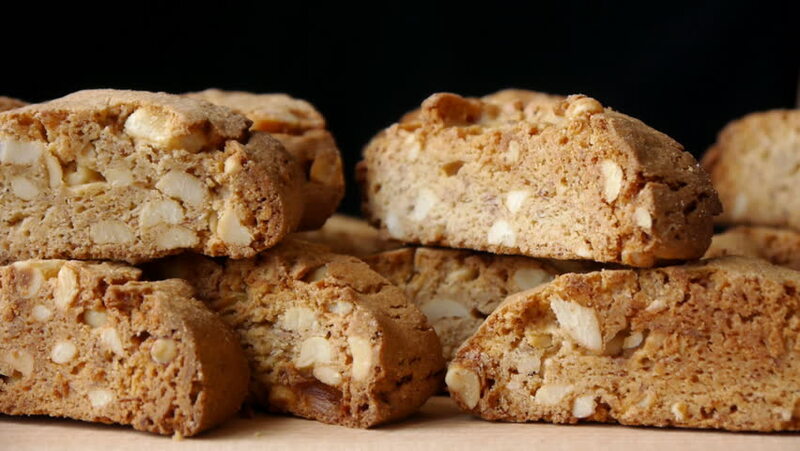 hd00:15Panorama Of Pile Of Nut Cookies Cantucci On The Black Background. Close Up. hd00:48Cookies with raisins on the table.